I have been very out of updating… Pretty much life just happened for me over the weekend and I couldn’t update, but now I can finally commit more time (or I will commit more time) to recapping, because it’s something that I really enjoy doing. And by recapping I mean adding cynical commentary to something meant to be so romantic and whimsical. Maybe I’m getting old and even though I enjoy this stuff, shitting on it is even more enjoyable. So, picking up where we left off, Zuo Zhen is about to leave Jin Xiu’s house and OMFG SHE FINDS A PUPPY OUTSIDE. It is the cutest and tiniest creature and it’s probably the best possible character in this drama. But why Mr. Puppy was introduced is still a question mark – puppy didn’t add to the plot at all – he’s literally added to make it a point that Zuo Zhen is afraid of dogs, and probably characterize Zuo Zhen as a manly man with ‘cute’ weaknesses or something. But holla to the producers – this puppy is possibly the best thing you’ve added into this drama. Oh. You guys are having a confrontation… wouldn’t it be unfortunate that the one that you’re keeping a secret from overhears everything? Meanwhile, back to Ying Dong. Ying Dong tries to tell Shum Meng that he’s dying of a terminal illness to get rid of her. 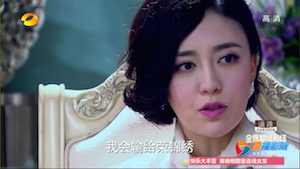 Ying Dong is screwed – Shum Meng is head over heels for him, and she was willing to do anything, even look past his terminal illness to be with him. Ying Dong, just pushes her away and tells her to leave him alone. 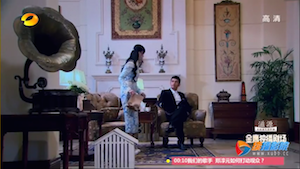 Afterwards, Ying Dong is captured to go to the Shum mansion, so Boss Shum could give him a piece of his mind. The very corny ‘we are arguing and detailing everything we lied about while the person we lied to is standing right there but we didn’t know’ thing happened. Shum Meng is devastated that Ying Dong never loved her and even lied to her about having a terminal illness to get rid of her. She decides to leave Shanghai, heartbroken. Boss Shum vows to take revenge on Ying Dong. You know, normally in dramas, most audience members are split between the first and second male lead in who’s more attractive, who’s more lovable, and who the female lead should end up with. In this drama… there is no possible comparison – unless you have a taste for scumbags. Ying Dong is not very attractive (ok sorry to the actor that’s playing him), he’s not very charming (seems so flirtatious and douchey), he’s indecisive (with Ming Zhu) and now he pulls sh*t like this. Can we just replace him with Long Yi please? Back to Jin Xiu – Zuo Zhen knows that Jin Xiu loves ‘po po bing’, which is a type of pastry back in Zhen Jiang, her hometown. So what does he do? Does he ring the doorbell and and wait patiently outside her house? He decides to break into her house through a window and sit inside her personal and private property while he waits for her. 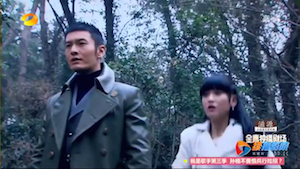 Again… you can only pull this sh*t off when you look like Huang Xiao Ming, because any other person would’ve called the cops or swung at him with the nearest bat. Jin Xiu, used to his sh*t by now, shrugs off his creepy restraining-order-warranting behaviour, and eats the pastries happily. She expresses that she misses Zhen Jiang, and starts crying because she misses her family. Therefore, Zuo Zhen decides to buy tickets for Jin Xiu and heads to ZhenJiang with her that very day. They get there suspiciously quick, especially when the cities are more than 200km apart. 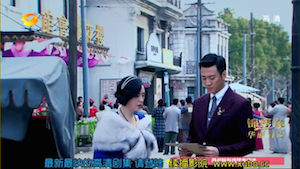 Zuo Zhen and Jin Xiu try to find clues in her family’s death, and who the murderer could be. She finally finds one survivor that used to be a servant in her household – Jiu Shu (roughly translated as… Uncle Nine, but let’s call him Jiu Shu). 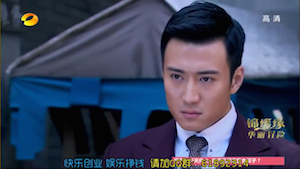 Jiu Shu is a heavy gambler and he tries to extort money out of Jin Xiu in order to get information. Jin Xiu, being dumb (and possibly the best person to extort from) tells Zuo Zhen that she doesn’t have the money to get the information. 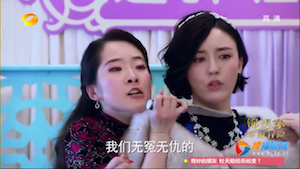 Zuo Zhen, being a violent sociopath (possibly the type that would murder you in your sleep) decides to hold a knife to Jiu Shu in order to get information. Jiu Shu, who would’ve been fine if he gave information, doesn’t reason by logic, and decides to run away into the woods, even though he really had nothing to offer other than information. He ends up rolling down the cliff, and Jin Xiu, being the dumbest character possible, ends up falling off the cliff too chasing after him. 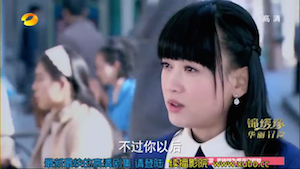 Zuo Zhen saves her again, but one day, just one day, Darwin’s Law will end up getting her. Zuo Zhen ends up falling down the cliff after Jin Xiu was safely back up on the ledge… Jin Xiu ends up crying at the ledge for Zuo Zhen. Zuo Zhen obviously doesn’t die (because episode 18 only), and he manages to climb his way back up. Either the cliff was very shallow (anything deeper would’ve shattered his bones) or he managed to catch on to something mid-fall. Regardless, either point allows us to safely conclude that Jin Xiu actually was so incompetent that she didn’t even look over the ledge to make sure that Zuo Zhen was really gone. 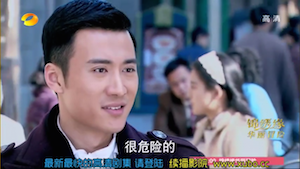 Ying Dong looks for Jin Xiu to chat with, and to have a drink, because he feels bad for toying with a girl’s feelings. Well you should. And you deserve to burn in hell. Really… did you really need to drink like that? I didn’t think you could make yourself more dislikable, but you did. Anyways… onwards. Meanwhile, a famous Japanese opening is bombed – the celebrity Miss Xiao is suspiciously unscathed from the incident. And Long Yi is pissed. He realizes the perpetrators had gotten away, and he has the most craziest sociopathic look in his eyes. In response to this ‘infuriating’ event, e decides to blow off some steam. And by that I mean training. With his shirt off. And by training I mean cutting a piece of wood in half. Literally. And ladies and gentlemen we just spent 3 minutes of your life watching a half naked man getting pumped up to cut a log in half. 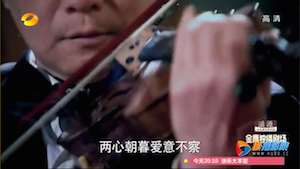 So Long Yi is infuriated – and he believes the real culprit behind this is Miss Xiao, the famous actress/celebrity. He shows up to – coincidentally – a press conference held by Mei Hua, to celebrate the signing of Miss Xiao as a spokesperson of their brand. 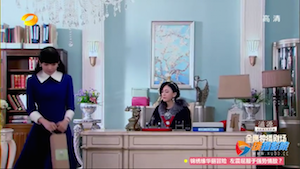 Jin Xiu’s incompetence as a human being caused her to miss Long Yi on his way inside to the conference, as she knocked over a vase on her way to do something important. 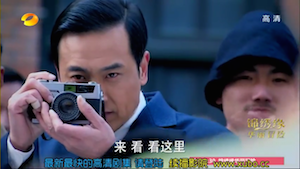 Long Yi has the same set of crazy sociopathic eyes again as Miss Xiao brushed off responsibility for the incident. He knows that it was her. C’mon isn’t it making it too obvious that you’re a villain with that sceptor? So, Long Yi pulled a Zuo Zhen, and broke into Miss Xiao’s house. He did this really creepy thing with his hands and kind of orchestrated classical music while he drank wine slowly. He knocks her onto her face and steps on her. He demands that she tells him who was her partner in crime in helping to bomb the restaurant. She refuses to say, and he throws her off the building. I mean… Shanghai must have only one tall building (at least only one that’s accessible to the characters) because this is the same building where Zuo Zhen and Ying Dong drank up, where Ying Dong and Jin Xiu had a moment, and where An Na tried to commit suicide. 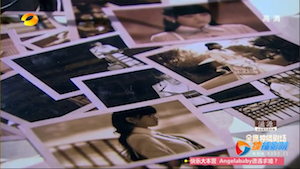 Miss Xiao’s death was a ‘huge blow’ to Mei Hua, and they were brainstorming tactics to overcome the bad publicity that Miss Xiao’s death had brought to their products. I think we all have the same idea by now but the workers in the room act like Jin Xiu’s a f*cking genius when she comes up an idea that most of us were thinking: FIND. ANOTHER. SPOKESPERSON. God it’s too late for the producers to tout Jin Xiu as an intelligent and smart person now that they’ve showed so many scenes of her being incompetent. 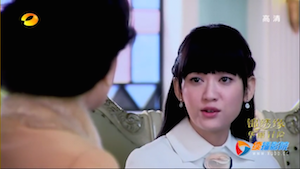 The idea was originally to approach Ming Zhu to become the new spokesperson – but Ming Zhu, working under Long Yi, requests for the complete transparency of the finances of Mei Hua in return. 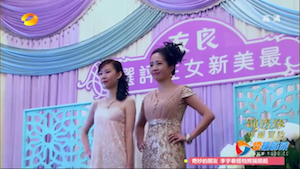 Boss Ling was pretty much like “F*ck that” and went on with Plan B – which was to help hold a pageant, and the grand prize being that the winner would become the next spokesperson of Mei Hua. Boss Ling chances over these stalker pictures that Ling Li had taken (again, it’s not creepy when the guy is cute right?) and realizes Jin Xiu has potential to become the next spokesperson. Boss Ling orders Jin Xiu to join. Ming Zhu, being crazy and vindictive, decides to join too, even though she refused to be the spokesperson initially. The producers decide to input a part where they play some music over some montage and make it all epic and sh*t and makes it seem like a lot of time’s passed or something since the pageant. Really though, I think that they’re putting in fillers to make the episode a full 40 minutes. 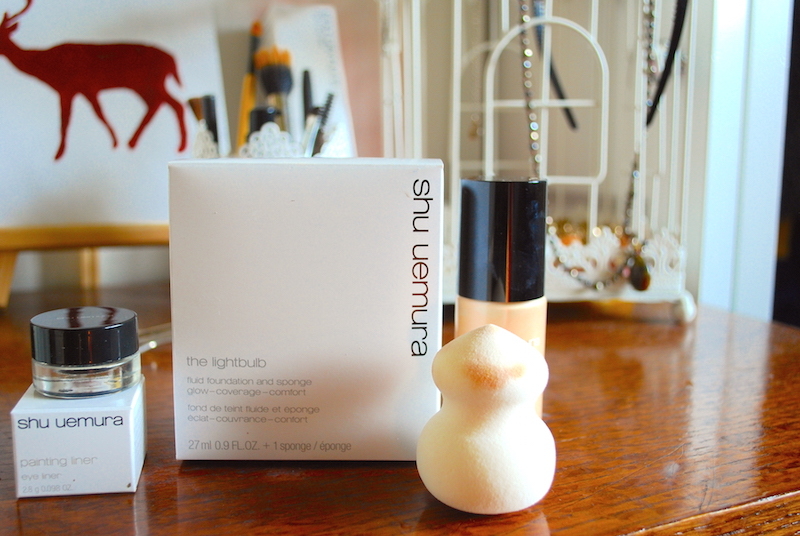 Finally, the day of the pageant. The producers somehow manage to find the most unattractive extras to be finalists in the ‘Beauty’ contest. Finally, when announcing the winner, a crazy woman decides to hijack the stage and holds Ming Zhu hostage. The crazy woman couldn’t accept the fact that she was eliminated in the preliminaries, and that it was a huge blow to her self esteem – especially since she was trying to use this to redeem herself from her husband cheating on her. 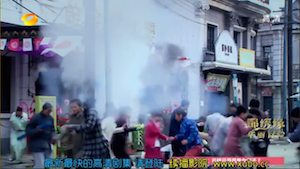 Jin Xiu manages to help Ming Zhu get away but manages to get held hostage herself (and win this year’s Darwin award). Jin Xiu is saved by a combination of Zuo Zhen, Ming Zhu, and Shi Hao from the crazy woman. 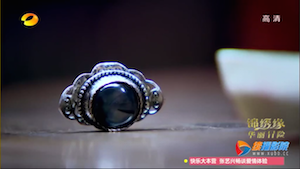 Ming Zhu finds Long Yi’s ring. She fiddles around with it while she waits for him, and she finds a picture of Jin Xiu inside. At the same time, Long Yi walks in talking about wanting to find someone and killing them off. Ming Zhu decides to take this opportunity to kill off Jin Xiu. Yes. Ming Zhu assumed that Long Yi was looking for Jin Xiu and wanted to kill her, and decides to try to make it happen. That is not cool. So, not cool. Even if it’s Jin Xiu. 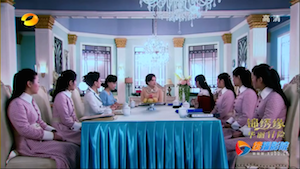 Ming Zhu asks Jin Xiu to deliver something at a certain location, and she sets up Long Yi to meet her at the same place, assuming that Long Yi will kill her after he finds her. And I am not going to lie, Long Yi and Jin Xiu had a very sweet moment at this point. It was so cute how he had that longing and loving gaze when he saw her. Makes me wonder why he didn’t take action as quickly when they first met at the church. 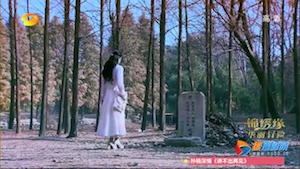 Jin Xiu finally catches his gaze, and realizes that there’s a car going towards him, and so she pushes him out of the way… and falls into his arms. He reciprocates by pulling her into a full hug. Ok this is corny but it was so cute. Is it bad that I wish that they ended up together? Them together is actually cuter than her and Zuo Zhen. At this point Ming Zhu witnesses all of this because she tried to stop their meeting, as she felt guilty for indirectly killing her sister. She was probably like “What the flying f*ck is going on?”. At last, Long Yi and Jin Xiu have a very cute talk at a coffee shop. Oh man the way he looks at her – I can’t believe those psychopathic eyes can look so 溫柔 gentle and loving. Their interaction is so cute while he tries to find out more about her and woo her. Love your colourful commentary! ZZ seems to be maturing, so I’m startling to empathize with him even though he is a crazy stalker. I still haven’t seen any growth in JX yet. Heck, even LY has a soft side. He’s such an awesome actor btw. 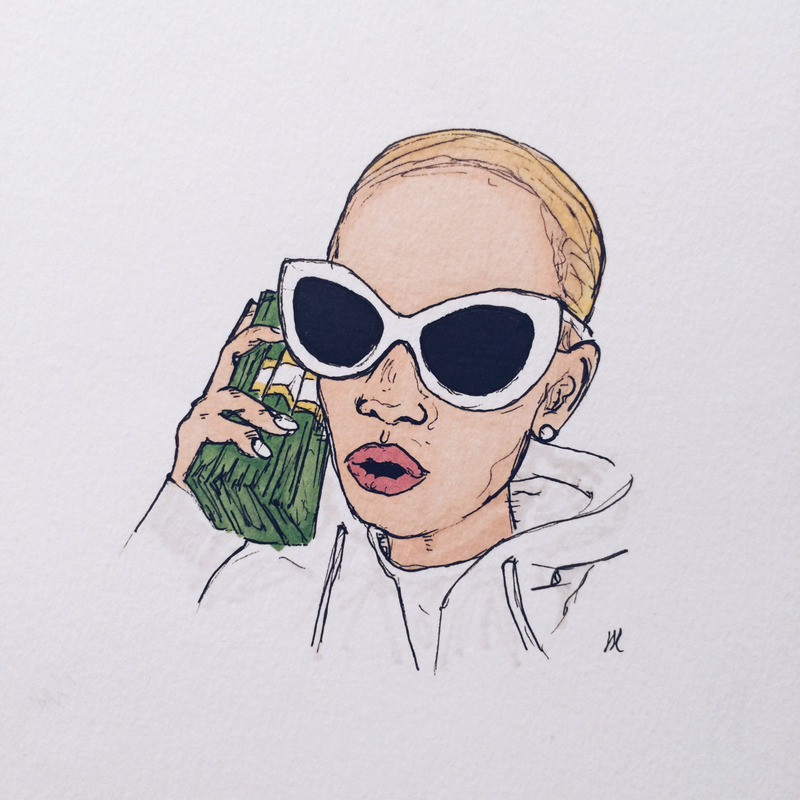 Thanks for keeping this drama so entertaining. Most dramas I end up hating the bad guy, but I can’t seem to in this drama. ❤ LY and YX! Oops I meant LY and JX!